"With impeccable research and flawless prose, Chevalier perfectly conjures the grandeur of the pristine Wild West . . . and the everyday adventurers—male and female—who were bold enough or foolish enough to be drawn to the unknown. She crafts for us an excellent experience." 1838: James and Sadie Goodenough have settled where their wagon got stuck – in the muddy, stagnant swamps of northwest Ohio. They and their five children work relentlessly to tame their patch of land, buying saplings from a local tree man known as John Appleseed so they can cultivate the fifty apple trees required to stake their claim on the property. But the orchard they plant sows the seeds of a long battle. James loves the apples, reminders of an easier life back in Connecticut; while Sadie prefers the applejack they make, an alcoholic refuge from brutal frontier life. 1853: Their youngest child Robert is wandering through Gold Rush California. Restless and haunted by the broken family he left behind, he has made his way alone across the country. In the redwood and giant sequoia groves he finds some solace, collecting seeds for a naturalist who sells plants from the new world to the gardeners of England. But you can run only so far, even in America, and when Robert's past makes an unexpected appearance he must decide whether to strike out again or stake his own claim to a home at last. 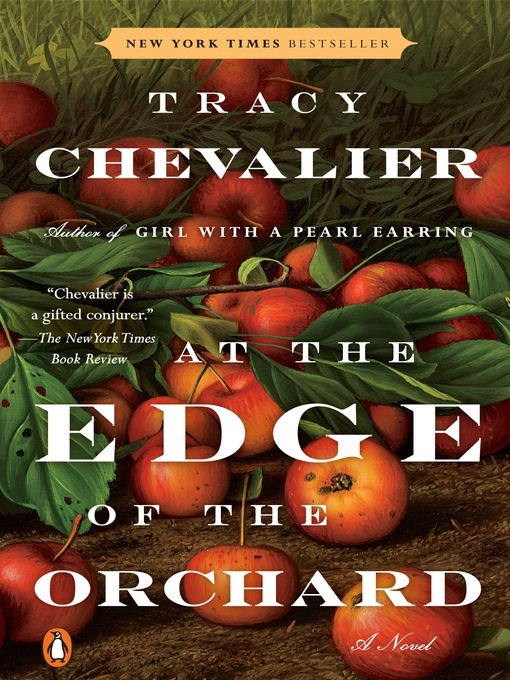 Chevalier tells a fierce, beautifully crafted story in At the Edge of the Orchard, her most graceful and richly imagined work yet.